Hi, our 27'' above ground pool is buckling at the bottom. We noticed it last year a bit but left it since it is an older pool and plan on replacing soon. However, this winter we noticed the top wall drop significantly. 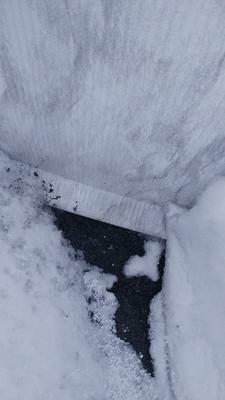 We dug out the bottom and noticed the bottom of the wall is almost folded only in a small section though. Should we just replace??? Or do you think its worth draining and trying to pound out the buckle (keep in mind we will have to buy a new liner if we drain it and we bought this pool second hand for 400$). Hi Sarah Cold weather can be brutal on above ground pools. I live in Arizona where most of us don't have to deal with such things. You have a nice pool, I would pound the crease out and get some more life out of it. A hammer on one side and some lumber on the other should get the job done. 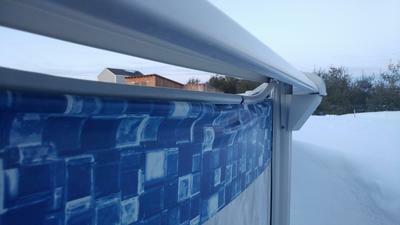 You could also reinforce the inside with some aluminum flashing if you thought it was needed. A 14" or so wide flat stock aluminum inserted into the bottom rail and taped to the sidewall can be a great help in slightly damaged wall areas. 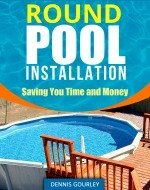 If you were to leave just a touch of water in the bottom of the pool you might be able to reuse the liner. This would have to be done in a very short period of time. You drain the pool leaving an inch or so on the bottom. Someone on the inside of the pool holds the liner back away from the edge while a couple more workers working both sides of the pool make the repairs. Not easy, but very possible. You repair the wall and start filling the pool, in direct sunlight, in a very short period of time. If left sit empty the liner will need to be replaced but if you plan ahead and work fast you can probably save it.